Dr. Kurian joined SurgOne in 2013 and specializes in minimally invasive gastrointestinal and hernia surgery. He has a special interest in disorders of the esophagus and stomach. He is the founder of Denver Esophageal and Stomach Center. He uses both flexible endoscopy (flexible camera throught the mouth) and laparoscopy (camera through small incisions on the abdomen) in the management of these diseases. Dr. Kurian completed his medical schooling in Bangalore Medical College, India in 2001. After this he completed a general surgery residency in the United Kingdom, where he is a Member of the Royal College of Surgeons of England. He is interested in the incisionless endoscopic management of surgical disorders. 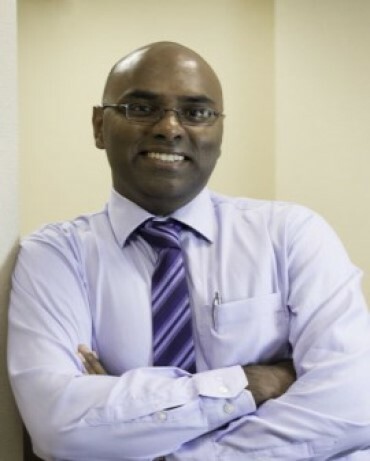 His research interests are in benign esophageal motility disorders, gastroesophageal reflux and esophageal cancer. He has written extensively on POEM, which is a new incisionless surgical endoscopic procedure for patients with swallowing problems and gastroesophageal reflux disease. He is also involved in research directed towards improvements in surgical education of minimally invasive and endoscopic surgery.